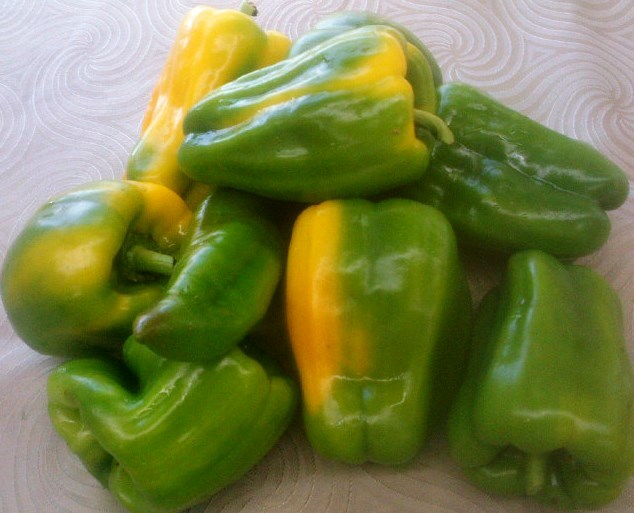 We didn’t get many peppers from this property the past summer – most of the ones that our farmers managed to guide through the strange weather this year went into the CSA shares. The ones we did get were wonderful – beautifully and uniquely coloured, so crisp and tasty! The winter hasn’t even begun and already I am looking forward to next year’s crop. The bounty of local produce of the last few months is narrowing down to the most hardy and the best keepers … cabbage, carrots, beets, apples … which is why I want to share a recipe that I am particularly fond of – the Canadian Waldorf Salad. The original dish was developed at a famous hotel in New York City (extra points if you can figure out which one!). At Loyola House we give it a Canadian twist with cranberries and maple syrup. It is a healthy, crunchy, tasty salad and can be very pretty with some care in slicing the vegetables. Mix well and enjoy. This salad doesn’t really need to marinate and will hold for a day or two. We use a “microplane” grater on the lemon which produces very fine, almost ethereal flakes of zest. They can be found at most “kitchen gadget” stores or at Lee Valley (a most excellent place to shop). A very firm-fleshed, semi-sweet apple is best and sometimes I don’t completely peel the apples to add more colour. Enjoy the fall and take good care of one another!